Beverage Distributors operates as a distributor of beverage products. Its products include beer, ale, malt liquor, and other alcoholic beverages. The company offers beverages from many brands, such as All Natural Maine Root; Amstel Light; Angry Orchard; Glutenberg; Carta Blanca; Goldhorn Brewing; and much more. Based in Cleveland, OH, Beverage Distributors services 14 counties in Ohio. Givaudan is the world's leading flavour and fragrances company. In close collaboration with food, beverage, consumer product and fragrance partners, Givaudan develops tastes and scents that customers enjoy. Headquartered in Switzerland, the company has over 100 locations worldwide, with more than 45 production sites and over 11,100 employees. Cahill Corporation, founded in 1895, is an Akron-based, state of Ohio certified Plumbing, Refrigeration and HVAC contractor. It offers facility design/build and construction management, 24 Hour mechanical/industrial emergency service/backflow testing, plumbing, HVAC and process piping services. Most of its clients come from education facilities, healthcare facilities, polymers, food processing, stamping, and metal fabricating plants. Established in 1964, The Hillman Group was firstly known as a fastener company. Today, the company offers a wide array of products for commercial and residential uses that include fastening, custom, and home solutions. Its customers are well known companies like Ace Hardware, True Value, Lowe's, Home Depot, Tractor Supply, Walmart, etc. Headquarted in Cincinnati, Ohio, The Hillman Group has an additional location in Tempe, Arizona. Production Solutions Inc. offers audio equipment and professional service to local and touring artists. It provides state of the art lighting, scenery, staging, and video services for any event. Its services also include: theater productions; PA and equipment rentals; consoles and processing; audio system design; etc. With its modern equipment and technology, PSI remains a reliable sound choice. Quicken Loans Arena, home to the NBA Cleveland Cavaliers, the AHL Cleveland Monsters, the AFL Cleveland Gladiators, is the premier sports and entertainment destination in Cleveland, OH. Each year, Quicken Loans hosts over 200 events, including world-class concerts, family shows, and sporting events. The Arena is operated by Dan Gilbert, the chairman and founder of Quicken Loans, Inc., a mortgage company in Detroit, MI. The Columbus Metropolitan Library (CML), located in the capital city of Ohio, began operation in 1873 in the New City Hall in downtown Columbus. This library is one of the most-used library systems in the country and is consistently among the top-ranked large city libraries according to "Hennen's American Public Library Ratings." Led by Larry D. Black from 1984 to 2002, the redeveloped CML was formally reopened in 1991 by U.S. First Lady Barbara Bush. Excellent customer service was Black's continual objective. CML was rated the No. 1 library system in the nation in 1999, 2005, 2008, and 2010. It has been in the top four every year since 1999 when the rankings were first published in American Libraries magazine, often challenging up-state neighbor Cuyahoga County Public Library for the top spot. CML was named Library of the Year by the Library Journal in 2010. According to the National Center for Education Statistics, in fiscal year 2005 CML patrons borrowed more than 16.5 million items, made 8.4 million visits to the library and asked nearly 1.2 million reference questions. We have over 35 years of experience. Our business is committed to customer satisfaction. Call us if you need amazing cleaning services in Cincinnati, OH. Olon Ricerca Bioscience is a full service Contract Research Organization (CRO) and Contract Manufacturing Organization (CMO) performing drug discovery and chemical development for the early to late stage drug development marketplace. Smith's premium dairy products provide a taste of tradition - the products you give your family are the same ones your family gave you growing up. Golden Eagle Extrusions creates quality packaging materials that best showcase products. Aladdin's Eatery provides Lebanese-American foods in a relaxed and casual atmosphere. Opened in 1994, today Aladdin's Eatery has grown to include almost 30 locations in four states. Its dishes are healthy and nutritious and are great for those who have dietary preferences. Its foods are suitable for vegans, vegetarians, meat-eaters and every other palate. #Agricultural Cooperative Serving Northwest #Ohio and Southern Michigan dedicated to providing the highest quality #farm products and services. See how over 100 years of making quality feed products means BUCKEYE™ Nutrition helps you and your horse reach your potential. Allied Shipping & Packaging - Women-Owned Supplier of Custom & Stock Packaging Solutions - Shipping Supplies, Materials & Equipment - Request a quote now! White Castle is an American regional hamburger restaurant chain in the Midwestern and Northeastern regions of the United States and a location in Shanghai, China. Toland-Herzig Funeral Homes & Crematory provides funeral, memorial, personalization, aftercare, pre-planning and cremation services in Dover, OH. Frisch's Big Boy is a regional Big Boy restaurant chain with headquarters in Cincinnati, Ohio. For many years a Big Boy franchisee, today Frisch's is the exclusive owner of the Big Boy trademark in Indiana, Kentucky, and most of Ohio and Tennessee and has no affiliation with Big Boy Restaurants International. In September 2018, there were 121 restaurants in Indiana, Kentucky, and Ohio. This includes 21 Big Boy stores in Cincinnati, 6 in Dayton, Ohio, and 6 in Louisville, Kentucky. Frisch's is the oldest, longest surviving regional Big Boy operator, excluding Bob's Big Boy in California, which was the original Big Boy restaurant and franchisor. Rhinegeist is a craft brewery based in Cincinnati, Ohio. Since 1956, Kaleel Bros has been a family-owned food distributor in Youngstown, OH. Its product mix is composed of Frozen Foods, Refrigerated Foods, Dry Foods, Produce, Paper/Plastic products and Janitorial Supplies. The company's mission is to provide its customers with accurate, on-time deliveries with quality products at a fair price. Kaleel Bros is a member of Unipro Foodservice, Inc., a purchasing, marketing and operating services organization, and offers thousands of products manufactured exclusively for foodservice operators. For innovative, custom home builders, Northeast Ohio residents can count on the expert team at Petros Homes, located in Broadview Heights, near Cleveland. Visit our site. Our first store opened in Elyria, OH in 1969. We now have 73 stores across the state. We have a little bit of everything and pride ourselves in "Saving you the Runaround!" Lake County NURSERY is a wholesale nursery located in Perry, Ohio. We grow a full line of quality nursery stock that includes trees, shrubs,evergreens, perennials and ornamental grasses. Aris Horticulture Inc. grows and researches on various ornamental plants. The company offers florist azaleas, false cypress and lemon cypress trees, exacum, pot mums, garden mums/asters, gloxinia, hibiscus, hydrangea, lisianthus, mandevilla, plant haven, rosemary trees, perennials, herbs, ornamental grasses, and more. It offers its products through retailers/growers and mass merchants, as well as distributor partners in North America. Aris Horticulture Inc. was formerly known as Yoder Brothers, Inc. and changed its name to Aris Horticulture Inc. in June 2009. The company was founded in 1920 and is based in Barberton, Ohio. It has production facilities in Leamington, Canada; Fort Myers and Parrish, Florida; and Smoketown, Pennsylvania. Dayton based craft brewery committed to brewing proprietary beer styles and warped interpretations of existing styles. Roto-Rooter Plumbing & Water Cleanup Service provides plumbing repair, sewer & drain services and water damage cleanup services to residential and commercial customers. Our attorneys provide intellectual property legal services for patents, trademarks and copyrights. We understand your technologies and IP challenges. HOMAGE turns back the clock with shout outs to eclectic moments and personalities in sports, music, politics and political culture with unique vintage apparel. Cedar Fair, L.P., doing business as the Cedar Fair Entertainment Company, is a publicly traded partnership headquartered at its Cedar Point amusement park in Sandusky, Ohio, with other corporate offices in Charlotte, North Carolina. The company owns and operates twelve amusement parks, two outdoor water parks, one indoor water park, and five hotels in the US and Canada. Cedar Fair also manages Gilroy Gardens under contract with the city of Gilroy, California. The Westerville Public Library is a public library that serves the community of Westerville, Ohio, a suburb of Columbus, Ohio. The Alleen Company has provided event planning and rental services to the Cincinnati area for over 65 years. Learn more about our company and our team. 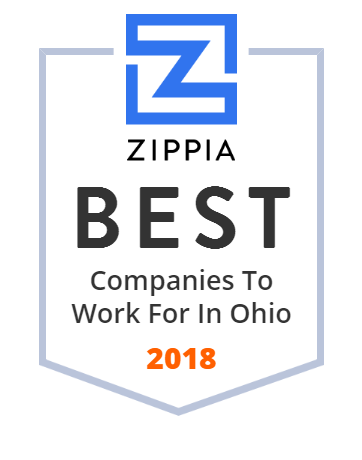 Top rated Ohio workers' compensation attorneys in Columbus, Ohio. Our team of experienced workers' comp lawyers (BWC) represent injured workers throughout Ohio. Nieman Plumbing has been serving the Greater Cincinnati area since 1975! The Folger Coffee Company Inc. produces and sells retail packaged coffee in the United States. The company offers ground, instant, single serve and full-pot, mild and dark-roasted, and iced coffees; coffee enhancers; and other coffee packs. It sells its products through grocery stores, drug stores, and other large chain retail stores, as well as online retailers. The Folger Coffee Company Inc. was formerly known as J.A. Folger & Co. The company was founded in 1850 and is based in Orrville, Ohio. As of November 6, 2008, The Folger Coffee Company Inc. operates as a subsidiary of The J. M. Smucker Company. MOBILCOMM is the leading Motorola Solutions Channel Partner in Cincinnati.